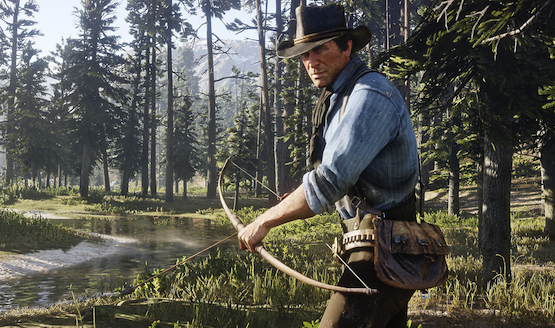 Earlier this week, a MarketWatch report on the United States’ stock market claimed that Take-Two Interactive‘s shares climbed by 4.7 percent following rumors that Sony is “‘in advanced board level discussions” to acquire the company in a “mostly cash deal.” The statement was attributed to Wedbush Securities’ Head of Technology and Media Trading, Joel Kulina, who expressed his surprise and confusion over the rumors. “We do not know where the rumor is coming from, but there is no such plan,” a Sony spokesperson succinctly told VentureBeat. Tokyo-based Bloomberg reporter, Yuji Nakamura, separately confirmed that he has spoken to a Sony representative and that the company has categorically denied any plans to acquire Take-Two Interactive. Although many were immediately skeptical about MarketWatch’s report, it’s worth noting that Take-Two Interactive has fought off acquisition attempts in the past. Back in 2009, publishing giant Electronic Arts spent seven months attempting to take over Take-Two Interactive via a $2 billion bid that eventually turned hostile. The two companies then decided to talk privately, resulting in the FIFA publisher agreeing to drop its bid in the end. EA’s move also attracted the attention of the U.S. Federal Trade Commission, which conducted an investigation into the proposed takeover but ended up closing the case as the companies reached an agreement.